The Skirt coffee table by Woud is a coffee table that features a feminine side. 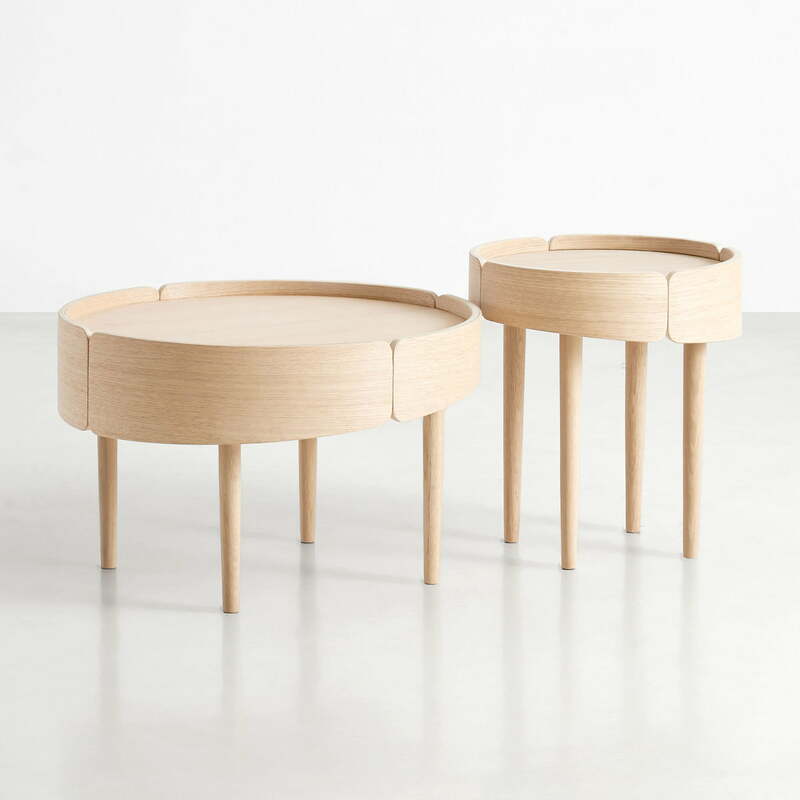 The Finnish designer Mikko Laakkonen wanted to create a table whose legs are hidden by a skirting to make the transition from the tabletop less obvious and put the tabletop in the focus. The Skirt coffee table is made of oak and is available in different colours and sizes, which can be arranged individual as well as a nest table or coffee table group. 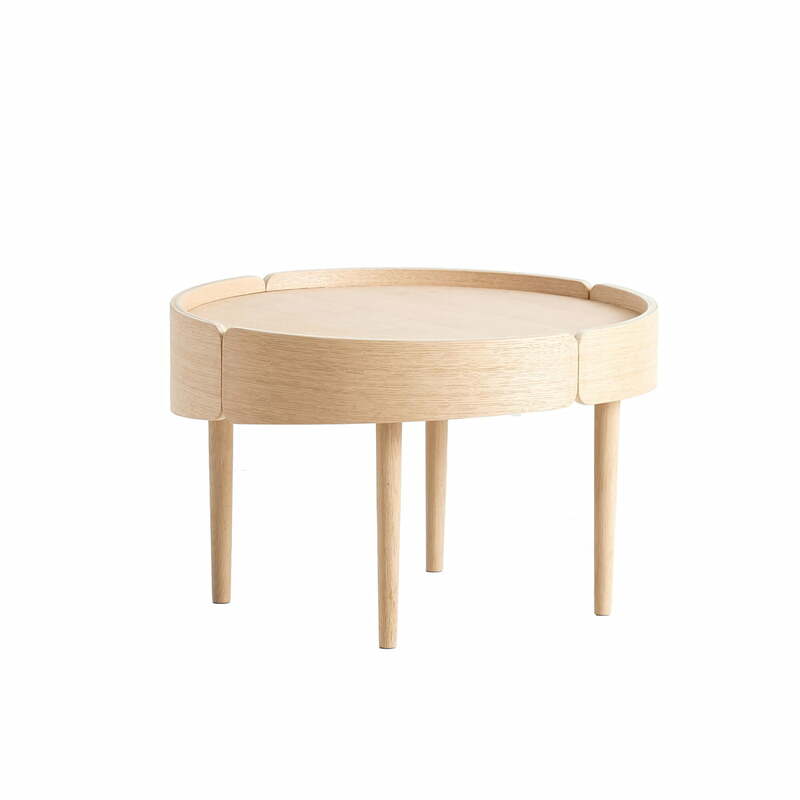 Product image of the Skirt coffee table Ø 40 cm by Woud in oak. 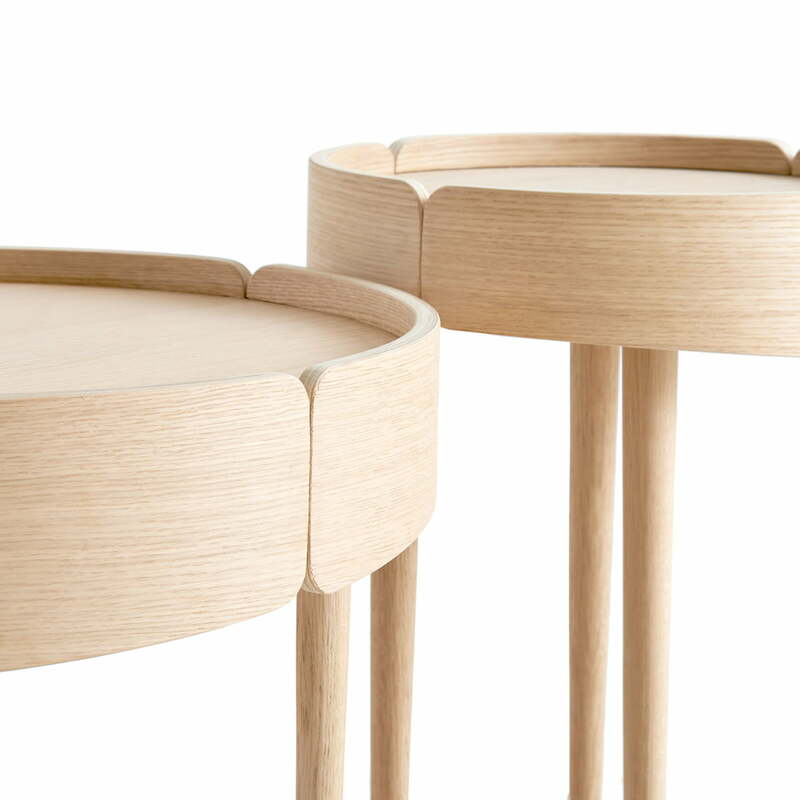 The Skirt coffee table by Woud is a side or coffee table that features a feminine side. 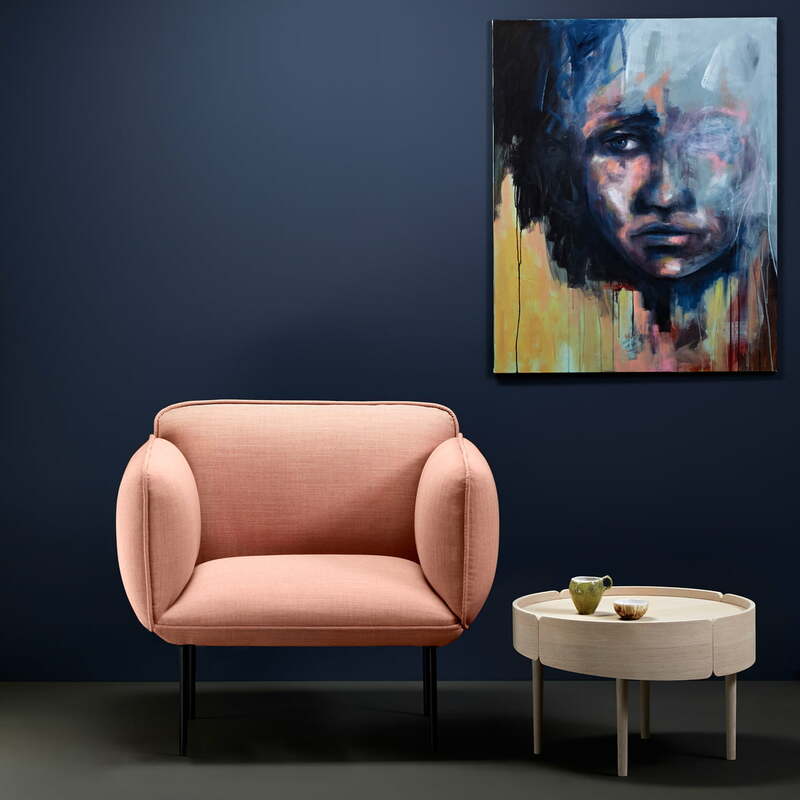 The Skirt coffee table by the Danish manufacturer Woud is designed to blend in with other tables of its series, but it can also stand alone in a room. The Skirt coffee table by Woud is an exceptional side table with integrated skirt that directs the focus to the tabletop and blurs the transition between legs and top.